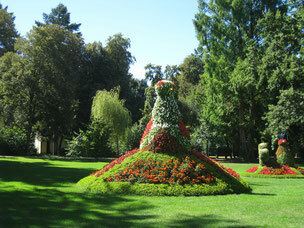 Bad Krozingen is classified as climatic spa and there is no industry with environmental pollution nearby. In our neighboring places of Bad Krozingen, you will find fields with asparagus, tobacco plants, strawberries and vegetables. In June you can reap delicious strawberries directly from the fields or buy the fresh fruit at a low price. Flight with a balloon or a long downhill distance special for Mountain Bikers in the Black Forest - Schwarzwald - nearby. near by the holiday apartment Bad Krozingen. Enjoy superiour wine in this region. 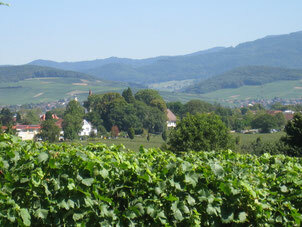 In the background the munster valley. Bad Krozingen is idyllically situated and offers magnificent views to the Black Forest in the East, the Kaiserstuhl in the North and the Vosges in the West. Not far away from Freiburg, France (Colmar) and Suisse. Black Forest, Notschrei or Feldberg are not far away. With paying the vivitor´s tax, your Konuskarte is free, so you can get to the Feldberg by train and bus the whole time while staying in Bad Krozingen. The apartment is close to the Kur-Park. You are a wine conoisseur ? Many hospitals such as Rheintaltalklinik, Schwarzwaldklinik Bad Krozingen and Breisgauklinik are close to my holiday apartment, close to the spa garden. You´ll reach the Vita Classica within 3 minutes. The large spa gardens are close to my holiday apartment. In hot summer you will find a shady place under large trees. Germans often enjoy this place during a rehab in one of the clinics. 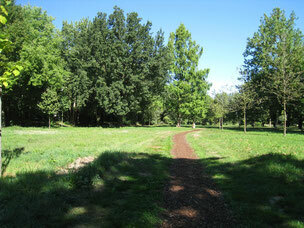 Many guests practice jogging or Nordic walking in the big park. Now, there is a new Golf-Place to make little trianings. From spring to autumn you will find a lot of artistic and musical entertainment close to the clinics,as like as the Schwarzwaldklinik Bad Krozingen. The festival of light (Lichterfest) with live music attracts numerous tourists in August. 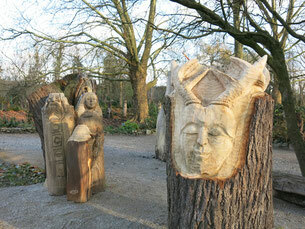 Artists have created wooden sculptures that can be admired in the spa gardens, near by the Vita Classica thermal bath Bad Krozingen. 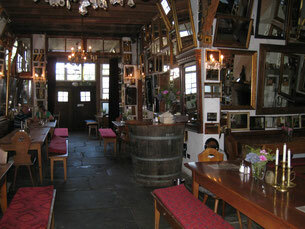 You will find lots of cozy inns near Bad Krozingen, they are called Straussenwirtschaft. Some of them with beautiful decoration.